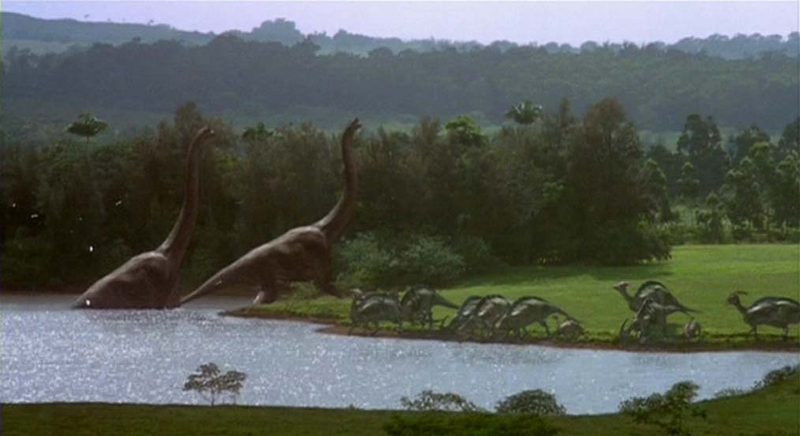 Just How Important is Scientific Accuracy in Jurassic Park? I don’t think I’ve ever met a single person who didn’t at least like Jurassic Park. It’s such an iconic film, with groundbreaking special effects and a relatively simple story about the arrogance of man and why we should not try to control nature. It spawned an entire generation of paleontologists who saw animatronic and CG dinosaurs running around and thought, “I want to learn more about these animals. I want to be a ‘dinosaur (wo)man. '” It’s easily one of my favorite films, if not my very favorite film. And even the sequels (while there are many disagreements here) are favorites of mine. The whole concept is interesting and magical, and the world is literally our world; just with extant dinosaurs running around on a couple select islands in the Pacific. We have a new installment coming in a few months; Jurassic World. 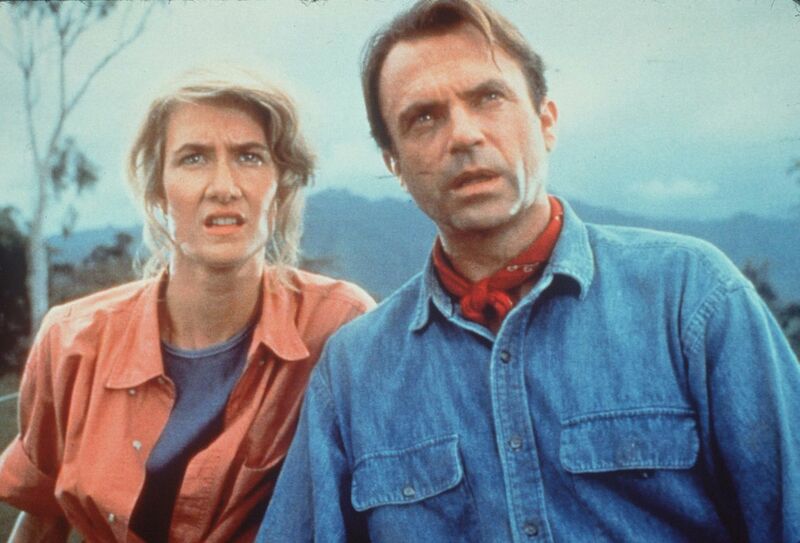 This will be the third sequel, and the first Jurassic Park film in 14 years. The plot feels slightly campy, but Chris Pratt is the lead and they got B.D. Wong to reprise his role as Henry Wu, and the film does take a fairly logical, if not slightly unorthodox, change in direction for the series. But I’m not here to talk about the plot of Jurassic World, or even the other films. I’m here to talk about dinosaurs. Because dinosaurs are awesome. They come from a different time, a different Earth, and I always love learning more about them. But Jurassic Park portrays them pretty wrong. Very wrong in some situations. Question is; does it matter? How much do these dinosaurs actually have to match current paleontological knowledge? My answer may very well surprise you. 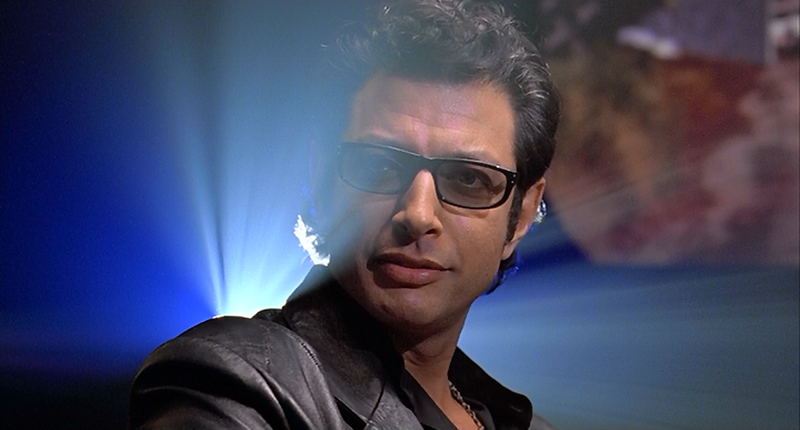 First though; what exactly are Jurassic Park’s dinosaurs? They are all clones; individuals grown in a lab through the use of DNA collected from Mesozoic Era biting insects. 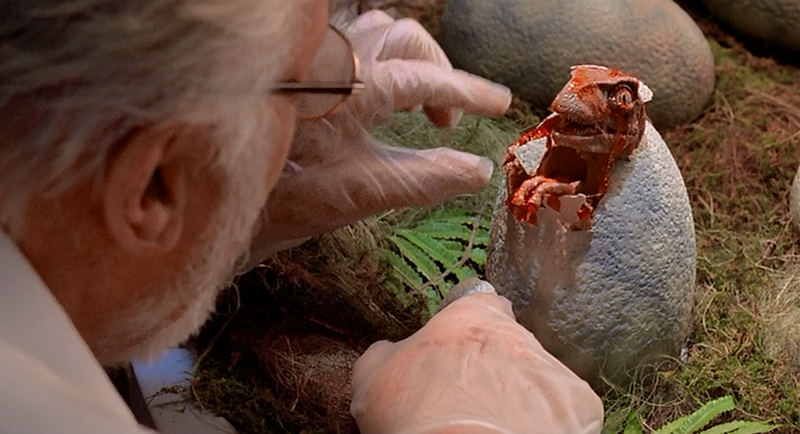 Through InGEN’s genetic technology the “dino DNA” was repaired by using the DNA of existing species (frogs in the film, but the book includes birds and reptiles as well). Then, the resulting repaired DNA was inserted into emu, ostrich, or artificial eggs and embryos where the dinosaur would grow and then hatch. Congratulations! It’s a bloodthirsty predator! That DNA repairing bit is important, because it means that the dinosaurs in Jurassic Park are not real dinosaurs, at least not technically. They could be, but that would require the geneticists to have perfectly replaced every missing nucleic acid in the gene sequence with the proper order. That’s very unlikely. Instead, the dinosaurs of Jurassic Park are approximations of real dinosaurs, based on the information available at the time. Confused? Here’s an example. Let’s say we’re an InGen scientist working on a new strand of DNA in 1990. We believe this to be DNA for a Velociraptor. So our scientists plug up the hole with some avian DNA and we grow a raptor. Only, crap, that baby raptor has feathers. What?! That can’t be right. We must have accidentally inserted the gene for feather expression when we plugged up that hole. We need to start over. Dinosaurs don’t have feathers. That’s ridiculous. They are obviously scaly. Look at this stupid thing. It *actually* looks like a six-foot turkey. Hahaha. So dumb. So we go back and change the gene sequence and grow a new raptor. And this time we get a smooth-skinned, scaly raptor chick. Much better. 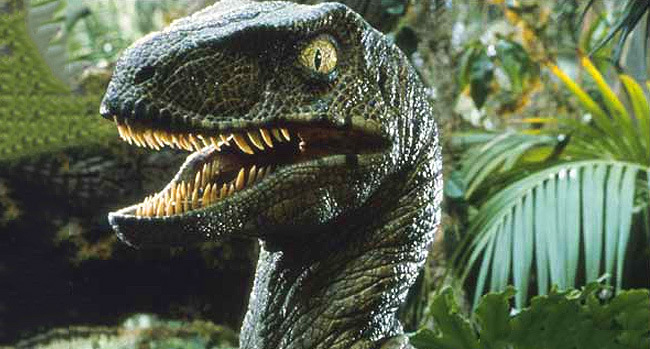 Scrap the individuals/genetic code we used before, this is the version of Velociraptor we’ll go with. This scenario would have happened countless times as Jurassic Park was growing its dinosaurs; Wu explains as much in the novel. It would have had to; we don’t actually know what dinosaurs were like; only what paleontology can tell us (and in reality that’s not as much as we’d like). And InGen would have ensured that their dinosaurs met public expectations. Certain things could slide, like Dilophosaurus having a neck frill and the ability to spit venom, as newfound discoveries and the “miracle of InGEN’s cloning technology.” But the public needed to actually believe that what they were seeing were real dinosaurs, and feathers would have destroyed that image. Remember, the novel by Michael Crichton came out in 1989, and the movie takes place in 1993. This means that InGen was doing a majority of its cloning in the late 80s and early 90s. Paleontology hadn’t made certain discoveries back then which we have knowledge of now. And today certain finds have shown us that genera like Velociraptor or Compsognathus almost certainly had feathers or proto-feathers or at least feathery down covering their bodies. The scaly Velociraptors of Jurassic Park are wrong. In fact, a majority of the dinosaurs in Jurassic Park are pretty inaccurate by today’s standards. 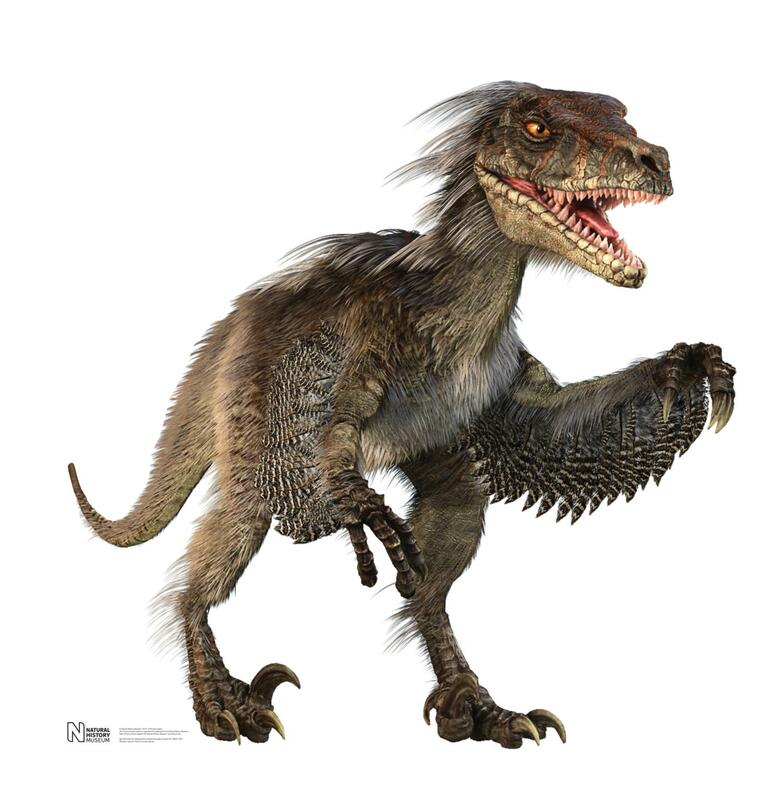 The Velociraptors are particularly guilty with their lack of feathers, almost super-human intelligence, and the fact that they are over twice as large as actual Velociraptor mongoliensis or Velociraptor osmolskae. They more accurately resemble one of two species of dromeosaurid; either Utahraptor ostrommaysorum or Deinonychus antirrhopus, both of which lived in North America during the Cretaceous period. 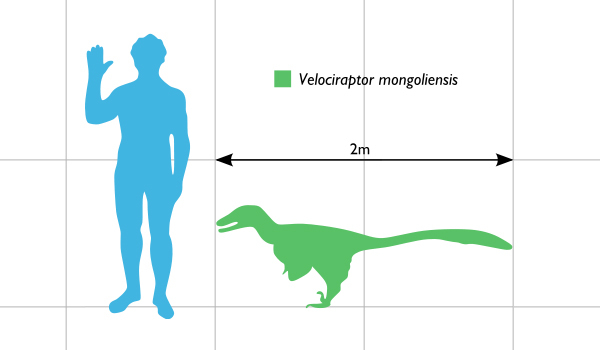 Actual Velociraptors lived in Mongolia and China. (Quick edit! I’ve actually found there’s another species, Achillobator giganticus, which fits the Jurassic Park raptor size almost perfectly. And it lived in Mongolia, just like Velociraptor did, which provides a perfect explanation for why the raptors in all JP media are constantly said to come from Mongolia; still the whole thing is wonky as I go on to explain.) The reason for this error is a bit complicated but, the important thing is that they just aren’t accurate to what we should be calling Velociraptor. Still, they are called Velociraptors in the films; we in the fan community have taken to accept that perhaps they are Deinonychus or some other genus and, in the films’ universe, Deinonychus was re-classified as a species of Velociraptor. Grant refers to a skeleton in North America as such, so we’ll have to go with that as the best explanation. But again; the raptors are not the only offenders. The Dilophosaurus got hit pretty bad with a frilled-lizard like protrusion on its neck, venom glands, and spitting cobra-like capabilities. The Stegosaurus we see in The Lost World are giants compared to their real-life counterparts. An African species of Brachiosaurus got re-classified to Giraffatitan brancai in 2009, whose skull crest more closely resembles the crest of the movies’ Brachiosaurus than actual Brachiosaurus does. 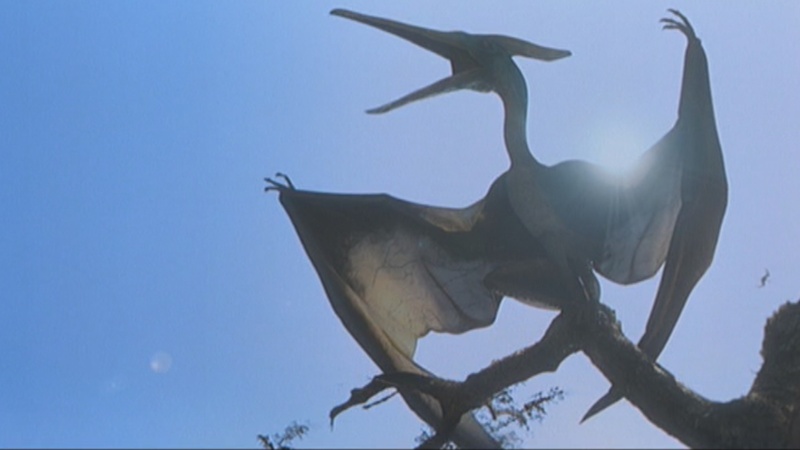 For God’s sake the Pteranodons have teeth. Pteranodon means “toothless wing!” Even the iconic Tyrannosaurus rex is slightly inaccurate, with movement-based vision not befitting a predator and a skull that is a bit too robust and curved than the actual animal. 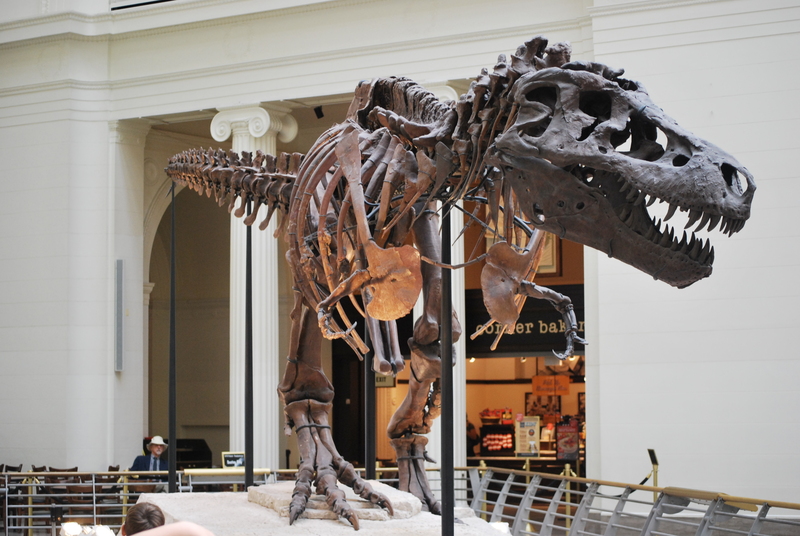 This is Sue; one of the best rex specimens in the world. See how different her skull is from the movie rex? And yes, actual paleontologists care about much much much less obvious details than this. I think I’ve made my point. Wonderful films though they are, the dinosaurs of Jurassic Park just aren’t up to current scientific data. But does that actually matter? Believe it or not, I say it doesn’t. These are films. They are meant to entertain people, and very often entertainment ends up trumping scientific reason. How many times have you watched a car explode because someone shot the gas tank? How often do we enjoy the kickass sounds of space ships in space? These things are scientifically wrong, but most people either don’t realize this or those who do willingly suspend their disbelief for the sake of the film’s entertainment value. Of course if things are completely illogical then plenty of people will voice their concerns; willing suspension of disbelief only goes so far before a viewer can no longer enjoy the experience. When Jurassic World was first announced I saw a common thought circulating through the web; people wanted to see more accurate dinosaurs (feathered raptors being the main request). These films, they argued, have a duty to promote current scientific knowledge for the masses. Many dinosaurs had feathers, and people should begin to see that as the norm rather than a weird design choice. In many ways I agree with this; scientific accuracy is very important to me, personally. As a rule I dislike when it is trampled upon or altered because that’s just not real. Don’t ever call this a “pterodactyl” or I swear I will find you. But a certain blue-haired criminal might say that rules are made to be broken, and there is always an exception to every rule. In my opinion, films have a responsibility to keep continuity. That means ensuring that the universe is kept consistent. 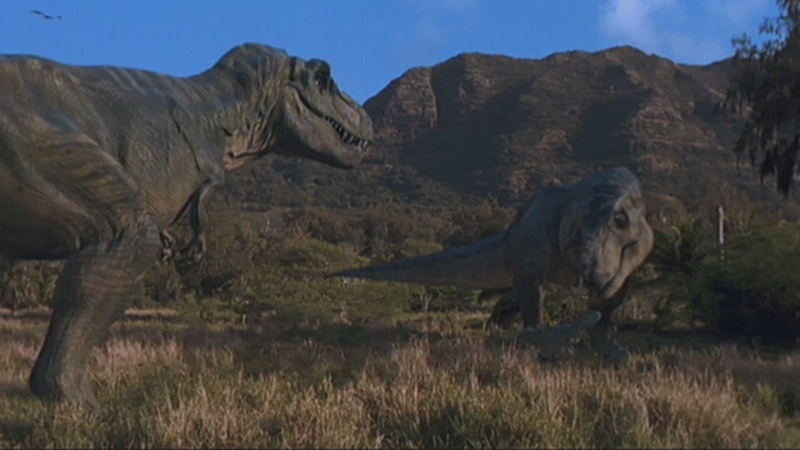 In Jurassic Park we see female raptors; they are brown and scaly. In The Lost World: Jurassic Park we see the same kind of female raptors plus some male raptors, which are tiger-striped and also scaly. Continuity is maintained. But then in Jurassic Park III suddenly the raptors are white and maroon and splotched and the males have quills sticking out of their heads. It’s scientifically more accurate, yes (I mean I guess it is; they have feathers now so that’s something). But it doesn’t make sense within the lore established by the films. And that breaks continuity, which breaks willing suspension of disbelief, which causes your audience to stop enjoying the film and tears them away from the experience. Boom; your film has now failed as a form of entertainment. Some people aren’t bothered by continuity changes, and I can think of a few examples of blatant discontinuity in cinema that were mostly ignored by fans (Lavender Brown). I get that sometimes it is okay for this to happen. But I feel that a film should stick to its established rules. If you want to change something you can do so, but you need to make sure that the change makes sense within the universe so that you don’t risk having hordes of angry fan boys ranting on the Internet.. Jurassic Park III tried to justify the raptor design change by claiming the population “evolved.” Ugh. There is so much wrong with that, but let’s focus on how a population isn’t going to so drastically evolve within the span of four years. You know what sorta does make sense? Remember my example earlier, about InGEN altering their dinosaurs to fit public perception because it’s likely that the first time they bred raptors they had feathers? If Jurassic World introduced feathered raptors and actually explained their presence adequately I would not have a large issue with them, simply because we actually would have a valid reason for the change which stays true to the rules established in the universe. Again, I do believe scientific knowledge should be expressed accurately and properly represented. I just feel that it’s more important to keep the continuity intact if you can’t justify the change. And besides, I don’t feel that in Jurassic Park‘s case it’s necessary to change anything in order to “get the job done,” as it were. It already has a great justification; all the dinosaurs are technically chimeras. And besides that, Jurassic Park did one particular thing very well; it made people excited about dinosaurs. It inspired an entire generation of kids to go out there and become paleontologists. It was the first time that people were able to see these magnificent animals moving around like living things. They were believable and awe inspiring. And this is all while they were technically inaccurate. Sure, the individuals who really got engrossed were probably disappointed to find out that the raptors they loved so much were basically lies, but that didn’t take away the desire to study the real deal. If anything that may have pushed people to spread more knowledge to the masses. That’s a good thing. Jurassic World seems to have gone in the direction I would have chosen; keeping the continuity intact by not dramatically changing the design of the dinosaurs and keeping their iconic designs. Chris Pratt’s raptors are all scaly and the rex still has the same iconic skull as ever. And you know what; we’ll get a new generation of paleontologists anyway. Because if there is one thing the history of cinema has taught us it’s that human imagination will not be contained. Imagination breaks free, it expands to new territories and crashes through barriers. Painfully, maybe even dangerously. That is true; whether they’d flat out suffocate I’m not sure, but they’d definitely have a hard time. Actually the JP novel goes into that a bit; Malcolm points out that the Stegosaurus they are standing around is wheezing and having a hard time breathing because of the lower oxygen levels of our time.